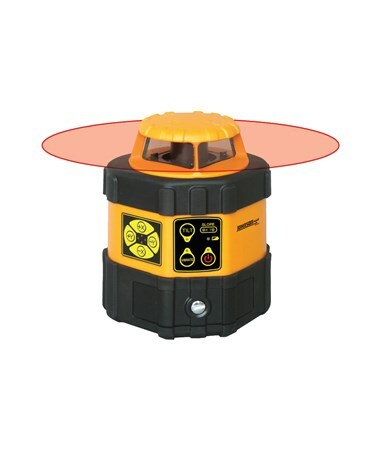 Electronic self-leveling within ±5 degrees, the Johnson 40-6537 Electronic Self-Leveling Horizontal Rotary Laser is perfect for outdoor use including leveling, checking cut and fill, setting foundations and footings, septic tank and basement excavations, and more. It features an interior range up to 100 feet and an exterior range up to 2,000 feet with a laser receiver. Also, it has an accuracy of ±1/16 inch at 100 feet and a ±5-degree slope. 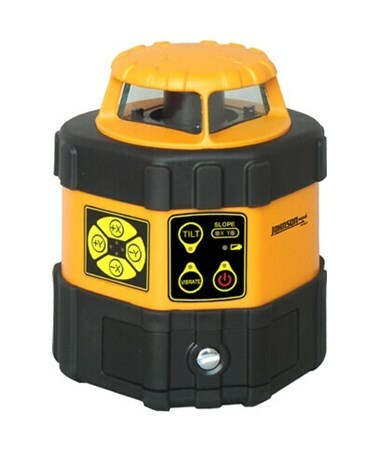 Featuring an electronically-controlled dual slope feature, this rotary laser comes with an electronic beam shield that turns off the beam on one to three quadrants. It has a vibrate mode that ignores slight movements as in windy conditions. 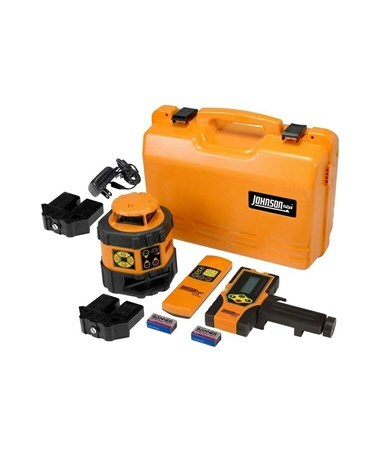 To ensure product accuracy, this laser level comes with a tilt alarm function and a rotation speed of 800 rotations per minute. Plus, it includes visual and audible alarms when beyond leveling range. Constructed with a metal roof and glass enclosed beam, the 40-6537 rotary laser is built to last. 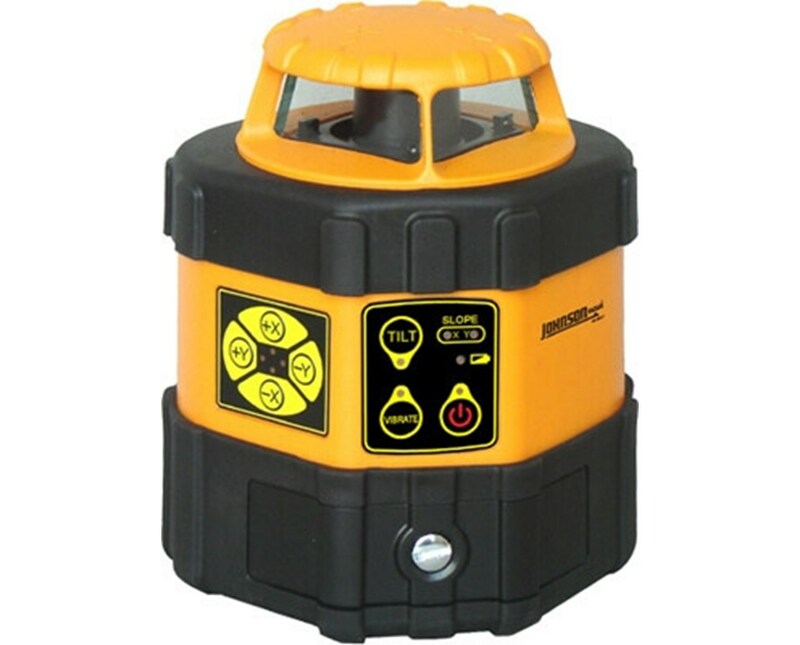 It also has an IP66 rating which protects the electronic-leveling device from dust and water. Using powerful battery packs, the construction professional can use the instrument up to 17 hours. It comes with a remote power off function to save more battery. In addition, it has a 5/8-11 tripod thread for easy tripod attachment.